The decision to once again have spinal surgery is never easy to make. However, in some cases, it is needed so that you can continue on with your life rather than be set back by debilitating pain. Spinal revision surgery may be suggested if you still have persistent symptoms following your first procedure for a spinal condition or if new symptoms have developed. Many times spinal revision surgery is required after a spinal fusion, which produces re-operation rate of nearly 30% two years after surgery. There are several conditions that could lead you to have spinal revision surgery. You may have had surgery after suffering from a herniated disc, but the problem could return. After a lumbar discectomy, the rate of a disc herniating again is between 5 and 15%, according to Medscape. The repeat herniation might occur a few months after surgery, or in some cases, after a few years. After a fusion surgery, the bones should heal together and become one piece. Unfortunately, the bones could fail to fuse together. 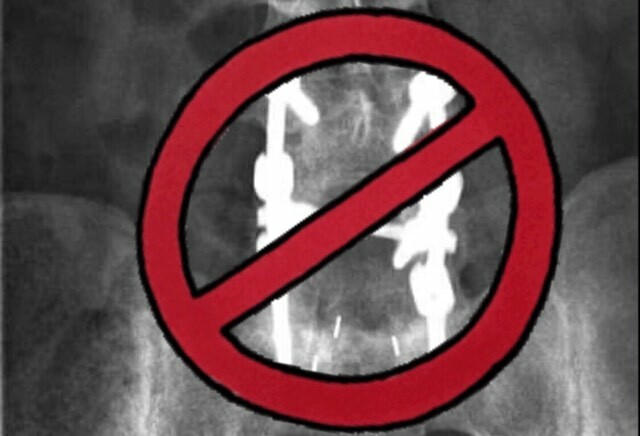 A failed spinal fusion is referred to as pseudarthrosis. There are no obvious symptoms with pseudarthrosis, however, the failed fusion may leave the original problem unresolved, which may require revision surgery. 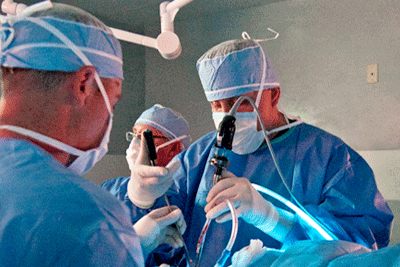 Spinal revision surgery may be needed if your new hardware is leading to issues. Most commonly, patients will suffer from “painful hardware”, in which hardware fractures or implants migrate. The situation may require additionalspinal hardware removal surgery. Adjacent segment degeneration (ASD) can occur anywhere along the spine after surgery. ASD is degeneration of the non-fused vertebrae above and below a fusion. This degeneration of the joints does not necessarily result in symptoms such as pain. However, the adjoining discs may become symptomatic as conditions such as herniated disc and spinal stenosis occur, which may require additional surgery. Scar tissue is often part of the healing process, however, when deeper, hidden scarring around the muscles, nerves and tendons in the area can lead to problems. As scar tissue gets older, it can contract and possible impact the nerve. The contraction can lead to nerve root compression, and thus, pain that requires revision surgery. Vertebral bone may fragment during the insertion of spinal hardware. If your surgeon failed to identify this issue and remedy it, you may require revision surgery in order to have those fragments removed. Imaging tests can help diagnose your spinal condition, but if improperly read, it could lead to an incomplete or missed diagnosis. These missed or misdiagnosed issues may require you to undergo revision surgery. Once a doctor has diagnosed the cause of your current issues, they will determine what type of surgery is the best option for you. In some cases, you may have to go for another round of your initial procedure. For example, if you had a discectomy for your herniated disc, then you still have a piece of the main disc, which could again herniate and cause you to undergo another discectomy. If painful hardware is causing your spinal issues, the removal or replacement of the hardware should occur right away. A revision laminectomy may be required if the regrowth of bone spurs occurs after your initial laminectomy. There are many reasons why spinal revision surgery may be required, so it is important to schedule and complete follow-up appointments. If you are experiencing pain, be honest with your doctor about these issues so they can be remedied as soon as possible. The Bonati Spine Institute can examine your MRI and determine if you need spinal revision surgery. The spine doctors at the institute have performed thousands of procedures, including spinal hardware removal and various procedures for failed back surgery syndrome. To learn more about how they can help you, call 855-267-0482.